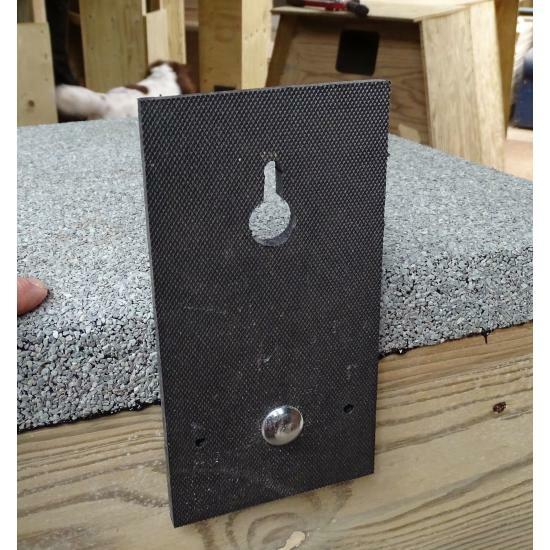 This kit is only required if you are making your own nestbox for outdoor use. 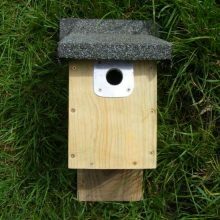 Nestboxes built by the Trust come with hanging kits INCLUDED (apart from indoor boxes where one is not required). Complete kit for attaching a large owl nestbox to a tree. 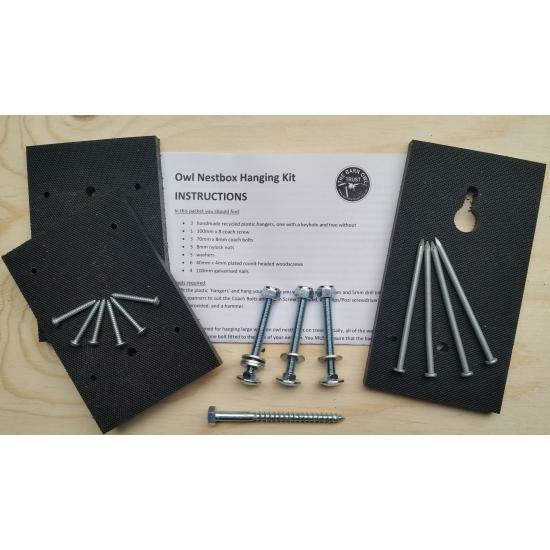 Pack contains: three handmade hangers cut from 12 mm recycled plastic Stokbord, full instructions, screws, bolts, nuts and washers. (Tools will be required). 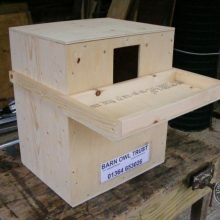 Suitable for most outdoor Barn Owl, Tawny Owl, and Little Owl nestboxes. 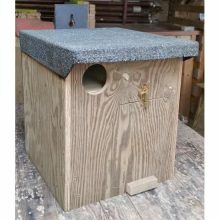 This kit is only needed if you are making your own outdoor owl box. 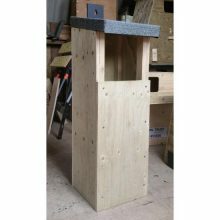 This kit provides everything you need to attach a home-made, large owl nestbox to a tree. 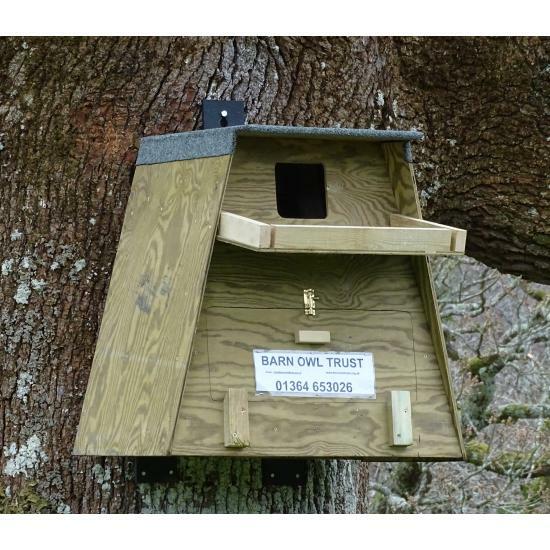 Suitable for most Barn Owl, Tawny Owl, and Little Owl nestboxes. 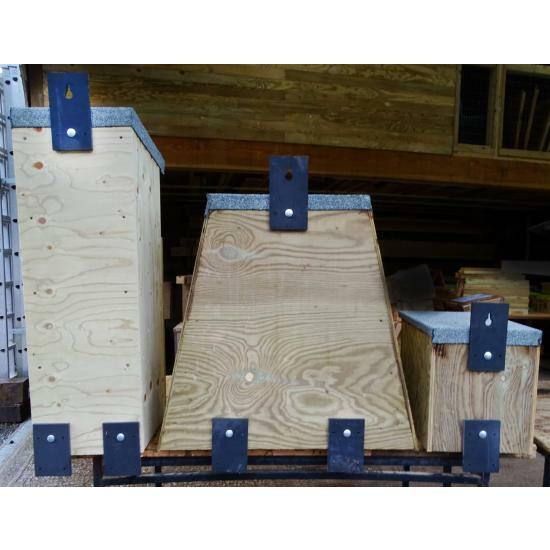 Nestboxes ordered from us come with a hanging kit INCLUDED where needed. Choosing the right tree for a Barn Owl nestbox. How to erect a Barn Owl nestbox on a tree.